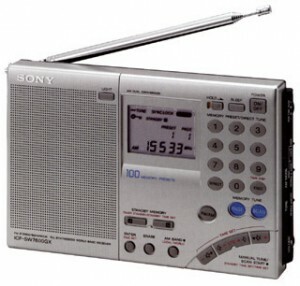 The Sony ICF-SW7600GR is one of the best sub-$200US portable shortwave radios on the market. One of its outstanding features is its synchronous selectable sideband. We find that the sync detector on this Sony is the best in its class. We rated the Sony ICF-SW7600GR as an excellent travel radio. This entry was posted in Made In Japan, Portables, Sony and tagged ICF-SW7600GR, Made In Japan, Sony, Sony ICF-SW7600GR, Sony ICF-SW7600GR Reviews. Bookmark the permalink.